Thalli dark green, erect, dichotomously branched, cylindrical, up to 20 cm long, slender, smooth (no hairs), attached by weft of branched filaments. 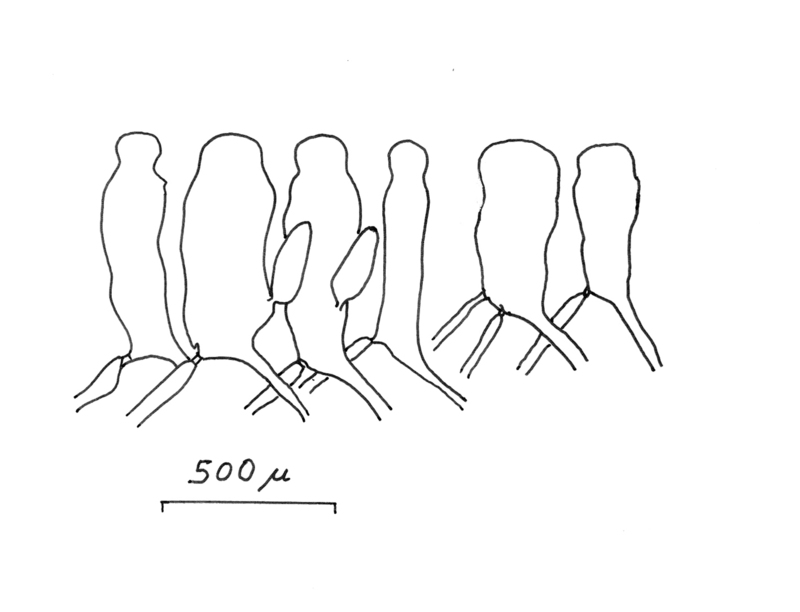 Erect branches uniform in diameter (2-3.5 mm) throughout. 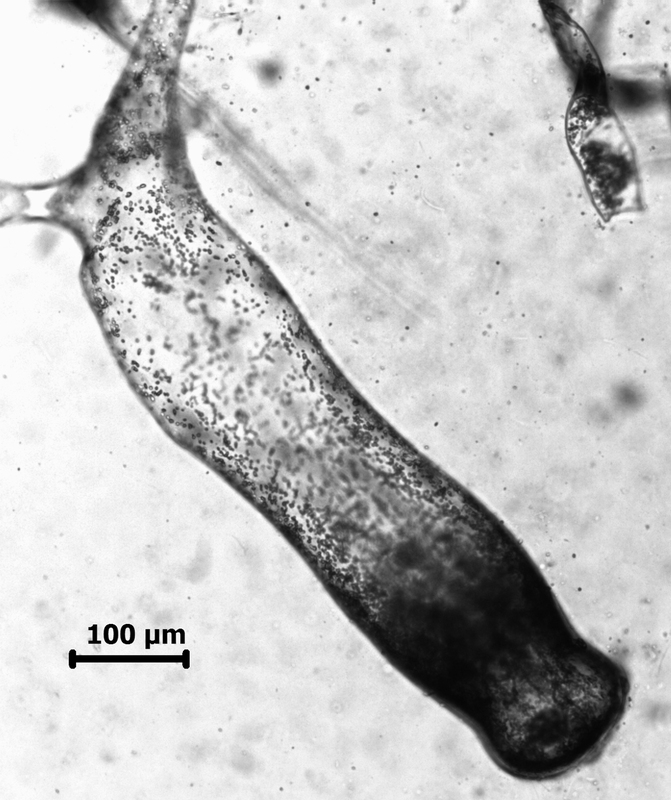 Utricles cylindrical, 350-700 µm long, 100-200 (250) µm in diameter, usually with distinct constriction below the rounded tip (i.e. capitate); cell wall thickened near end of utricle; hairs seldom present. Found from about Port St Johns northward through KZN (46-58) (Silva 1959). Attached to rock in pools and shallow sublittoral. World distribution: also recorded from Mozambique, Kenya and Madagascar (Guiry in Guiry & Guiry 2014). 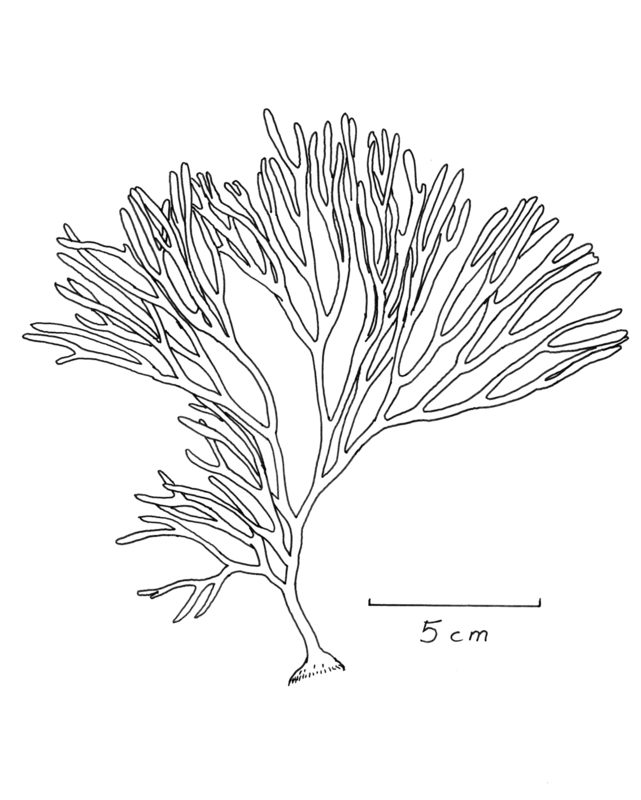 Type locality: Umhlanga rocks, KZN (Silva et al. 1996). Note: Although superficially similar to some other local Codium species, C. capitatum is distinguishable by its capitate utricles. M.D. Guiry in Guiry, M.D. & Guiry, G.M. 2014. AlgaeBase. World-wide electronic publication, National University of Ireland, Galway. http://www.algaebase.org; searched on 02 July 2014. Silva, P.C. (1959). The genus Codium (Chlorophyta) in South Africa. Journal of South African Botany 25: 101-165, 22 figs, Plates II-XVI.